In parts of India literacy rates are poor. One of the practical reasons for this is that children in dark homes without electricity don’t have sufficient light. ChildFund is addressing this problem with phase two of the Books, My Friends initiative. ChildFund India distributed Solar lanterns to children under its campaign Books, my Friends’ 2nd Phase. 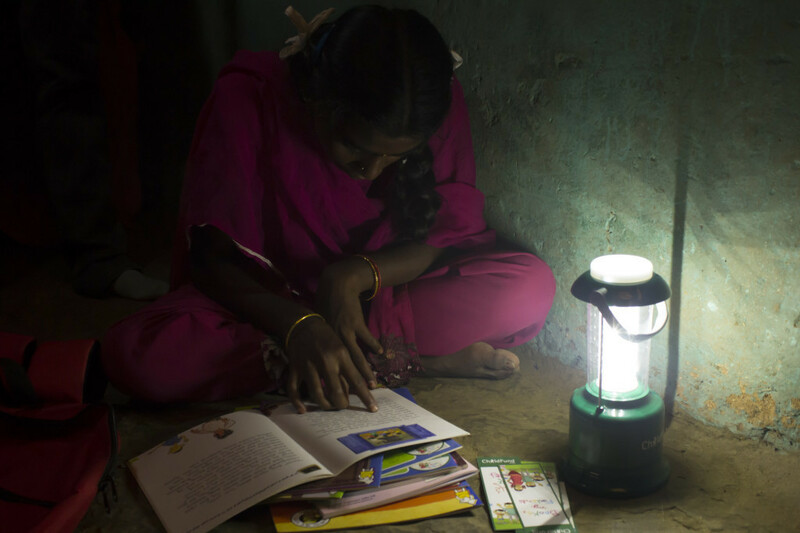 In June, ChildFund India distributed nearly 40,000 solar-powered lamps to children in homes without electricity, as phase two of a national literacy campaign called Books My Friends . Phase one of the campaign, in December 2014, saw our India staff members, with the help of local partner organizations and others, distribute some 40,000 tote bags full of age-appropriate books, in several languages. About 115,000 children have benefited from the program, which aims to make reading fun and also help them improve their literacy skills. According to India’s Annual Status of Education Report (ASER) for 2014, many children are behind grade level in their reading skills. Among eighth-graders, about 75 percent can read at second-grade level, while 32.5 percent of second-graders can’t even recognize letters. In this second campaign phase, called Toward a Brighter Future, children have received solar-powered lamps that allow them to read, do homework or other activities after the sun goes down. And for some, the solar lamp has a totally different benefit. 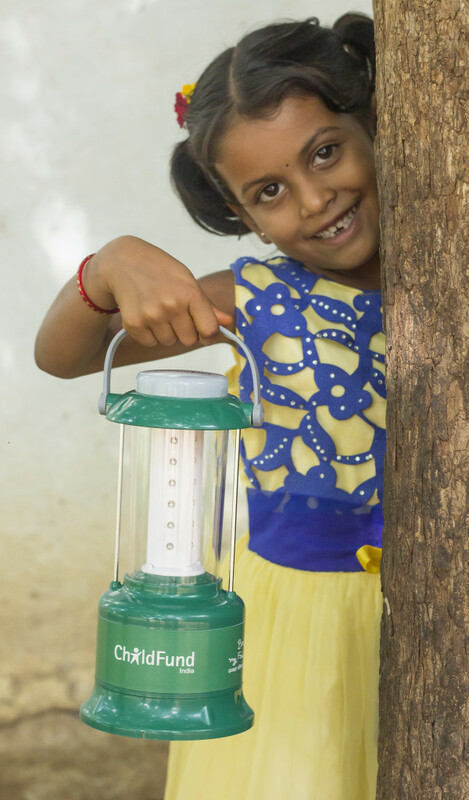 “Now we can also play after dark outside our houses using these lamps,” say Prathibha and Swathi. After the successful implementation of this second phase, ChildFund India plans to open two solar-powered model schools, more than 100 libraries in rural schools in 14 states and introduce mobile libraries, which will provide access to high-quality reading material and dedicated reading space for children and other community members. Special thanks to Rashmi Kulkarni of ChildFund India for this report.